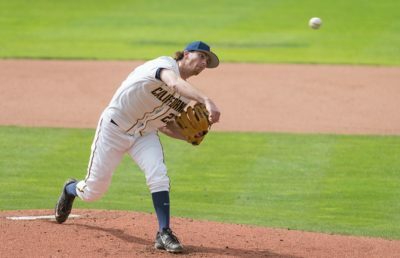 All season long, a major point of emphasis for Cal baseball has been placed on starting pitching — while the offense has yet to miss a beat, pitching has remained the team’s biggest area for improvement. This weekend, however, the pitching staff displayed its collective potential, leading the way in a series victory over Washington State. Behind three strong outings from senior Matt Ladrech, sophomore Jared Horn and junior Aaron Shortridge, the Bears continued to build upon on their recent string of success, securing their third consecutive series win on the trot. While starting pitching helped lay an early foundation, it was once again the bullpen that anchored Cal’s charge. Over the three games, the bullpen only conceded two earned runs. 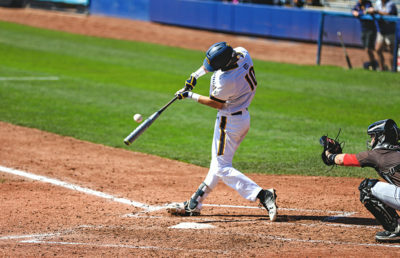 On offense, the team didn’t take advantage of the long ball, but Cal was able to muster enough timely hits to put them over the top in its first two games. Junior Tanner Dodson had a strong weekend at the plate, going 6 for 15 from the plate with three RBI. Freshman Darren Baker also contributed nicely, going 6 for 14 with five RBI to his name. The first game of the series witnessed Cal’s offensive firepower. Behind 15 hits and three multi-run innings, the Bears jumped on top early and never looked back en route to a 13-6 victory. Ladrech was a little shaky on the mound, giving up five earned runs on 10 hits in 6.1 innings, but seniors Zayne Patino and Erik Martinez threw a solid combined 2.2 scoreless innings. Offensively, the Bears got things going early. 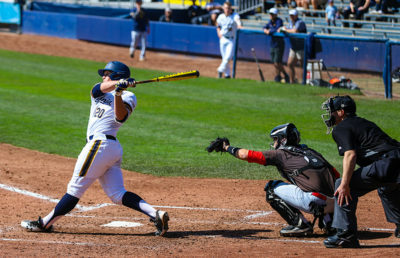 In the second inning, Cal batted around its lineup and put up a six spot, the highlight being a base-clearing triple by sophomore Max Flower. In the sixth inning, the Bears recorded four runs behind two singles as well as mental mistakes by a Cougar pitching staff that yielded four walks. The Bears went on to add three more runs in the eighth inning to complete the blowout. The second game of the series was a closer affair aided by another dominating start, this time by Horn. 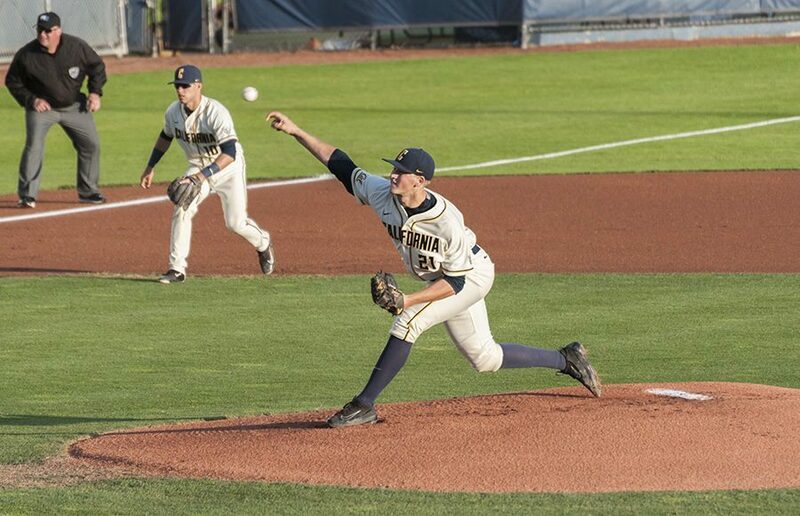 Behind a four-run fourth inning, Cal secured the series victory with a 6-3 win. Just like their previous game, the Bears found themselves in an early deficit after giving up a run in the first inning. After tying the game up in the third frame, Cal opened things up in the fourth. After a leadoff single by sophomore Andrew Vaughn and a hit by pitch on junior Jeffrey Mitchell Jr., freshman Sam Wezniak drove a double to right field to bring in Vaughn and get a rally started. One batter later, Baker hit another double, this time to left center, to score two more runs. By the end of the inning, the Bears plated four runs to take a commanding 5-1 lead. When Horn exited the game after six innings, sophomore Arman Sabouri came on in relief, but the reliever didn’t have his best stuff, giving up two hits to the only two batters he faced. Sabouri was yanked and replaced by Dodson, who quelled the rally with a double-play ball and ground out to end the inning. Dodson would go on earn the save with three innings of strong work. The second game of Saturday’s doubleheader — the third game of the series — was much more closely contested. Despite jumping out to 3-1 lead in the seventh inning, the Bears were unable to hold off the Cougars, who mounted a rally in the bottom half of the inning to tie up the game. WSU delivered the final knockout punch with a walk-off single in the 10th to salvage a 4-3 victory. Shortridge was one of the bright spots for the Bears, as he went seven strong innings while conceding only three earned runs on seven hits. Patino came on in relief and pitched a scoreless eighth and ninth inning, but he allowed a walk-off single in the 10th inning and the Cougars escaped with a win. Praveen Kuruppu covers baseball / men’s golf. Contact him at [email protected].